In a Nutshell: Access to credit can be difficult for the more than 1 million international students enrolled in American colleges each year. Despite many students entering the country with no definable credit statistics, the demand for accessible revolving limits grows every day. 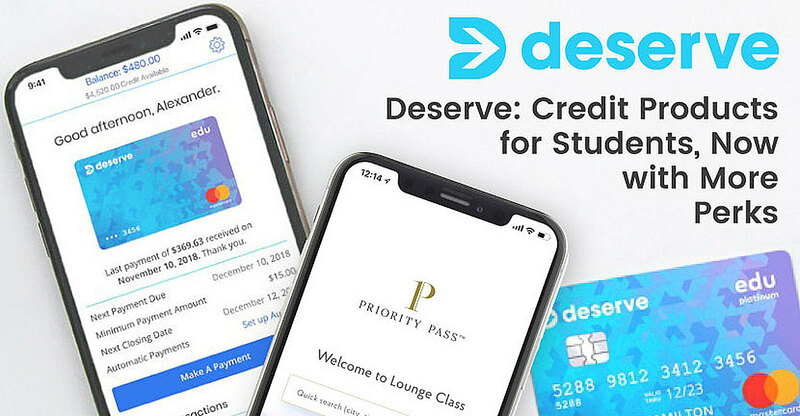 Deserve started with an international student-based credit card that used an algorithm instead of the typical credit pull to determine creditworthiness. Following the success of the Deserve Edu card, the company added the Pro and Classic offerings and expanded its reach to domestic students and young professionals. A robust rewards program is designed to meet the needs of young consumers who target experiences over possessions, with as much as 3% cash back offered on purchases. And Deserve recently announced that Deserve Pro cardholders can receive a Priority Pass membership. 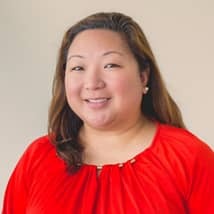 When Pia Guter emigrated from her native Philippines to attend Northwestern University, she didn’t know if her studies would lead her back home or to a permanent residence in the U.S. The move was exciting, but no doubt filled with constant worries about adjusting to a new country while navigating a complicated university system. Students often struggle juggling homework, exams, and managing a proper GPA. The last thing they need is to add building a credit score to their to-do list. For international students like Pia, who come to the country with no Social Security number or credit history, managing finances can be far more difficult than the trigonometry assignment due tomorrow. That’s why she feels at home at Deserve. The credit company — formerly known as SelfScore — caters not only to international students but domestic college enrollees and young professionals beginning their financial journey. For international students with no credit-defining characteristics, the company uses its own algorithm designed to determine creditworthiness. The system is something Pia wishes had been at her disposal as a student before she became the senior director of marketing at Deserve. International students typically come to the U.S. with cash and open a bank account. But these students know that life in America revolves around having a good credit score. If they want to buy a car, the dealer requires a credit history for a loan. 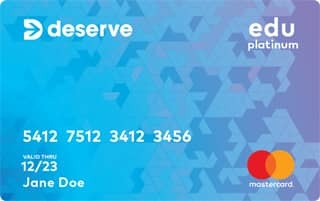 Deserve’s first offering, the Deserve Edu Credit Card, issued through Mastercard, was designed for all students studying in America. After the company’s success issuing the SelfScore Mastercard to international students, they are now providing the same access to fair credit to all students. The Pro and Classic cards were added as the company looks to the demographic of young Americans with credit needs that differ from their parents and grandparents. With so many young users who value travel and new adventures, Deserve recently announced that its Deserve Pro card now comes with the opportunity to receive a one-year membership to the airport lounge network, Priority Pass. During the 2015-16 academic year, the number of international students studying in America surpassed 1 million for the first time. That number looks to steadily increase as colleges and universities open their doors and create more programs to attract foreign applicants. The Deserve Edu Credit Card is built for students with no — or limited — credit history. Most students learn that life in America is more difficult without access to a revolving credit line. Without a Social Security number or credit profile, though, many issuers aren’t willing to extend offers. That’s a niche that Deserve wants to fill with its Edu Credit Card offering while also serving the millions of domestic students that attend class every day. The Prime membership is an attractive component for modern consumers. Along with free two-day shipping on all Amazon.com purchases, membership also includes access to on-demand videos and movies at no charge. A large music offering through Prime music, as well as unlimited photo storage space, helps stretch a student’s entertainment budget. The student plan is normally offered free for six months through Amazon, with the one reimbursed year starting at the completion of the trial. To make the card more accessible to a broader student audience, Deserve created an algorithm designed to determine creditworthiness beyond the typical hard credit profile pull. For domestic applicants, a credit pull is required but isn’t used as a sole determining factor in eligibility. Pia said most Edu credit limits start lower — around $500 — but can grow as high as $5,000 over time. The card features a 19.74% variable APR, 1% unlimited cash back on all purchases and no foreign transaction or annual fees. Add regular reporting to Experian and TransUnion for credit-building, as well as car rental collision damage waiver and ID theft protection through Mastercard, and this card has many of the perks you’d find in offers for more established consumers. While the Edu card requires enrollment in an American college or university, the Deserve Pro Credit Card is tailored for students or young professionals who want a card that meets their needs and wants. To create a card that appeals to its target demographic, Deserve looked at the purchasing habits of the group and came up with a 3-2-1 system that covers a vast number of interests and needs. The Deserve Pro Credit Card has rewards offerings to meet the needs of young cardholders. With travel in mind, Deserve now offers Pro cardholders the opportunity to earn a one-year complimentary membership to Priority Pass, which provides members with access to airport lounges all over the world. 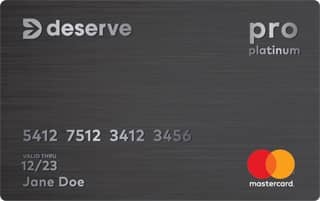 Kalpesh Kapadia, the Founder and CEO of Deserve, said the Priority Pass philosophy fits right in with Deserve’s mission to provide its customers with the best card for their current stage in life. He said the idea came from analyzing Deserve customers’ transaction data and realizing just how often its cardholders were traveling via plane. While many card issuers offer hard rules with their categories and rewards, Deserve prides itself on the flexibility of its offerings. The card’s variable APR ranges between 16.99% and 23.99% with no annual or foreign transaction fees. Credit limits reach as high as $10,000, and all of the travel insurance and benefits provided through the Mastercard Network are included. Consumers who aren’t enrolled in school, or do not meet the requirements for the Pro card can apply for the Deserve Classic card that’s designed for applicants with no credit history. The card’s 23.99% variable APR, credit limits up to $1,500, and $39 annual fee are a good gateway for building credit history with an eye on an eventual upgrade to the Pro card. With more than 1 million foreign students enrolled in U.S. colleges and universities, the demand for reliable credit at affordable rates for that segment of the population is at an all-time high. Deserve wants to meet that need with a stable of credit products designed to help foreign and domestic students start their financial path while minimizing bumps in the road. Those protections include regular credit lessons not taught in the classroom. Pia Guter, Senior Director of Marketing at Deserve. With nearly half of international students wanting to stay in the country after graduation, Deserve wants to prove that the American dream isn’t just a myth, but a reality that comes true every day. Ray Fitzgerald has more than a decade of journalism experience, writing for national media outlets, including the Miami Herald and Investment Times. Ray is passionate about traditional and alternative investment strategies, but most enjoys sharing creative ways to budget and save money. Ray has personally written about hundreds of credit card offers from banks and credit unions across America and enjoys helping people find the best cards and rewards programs for their specific spending needs.